Every graduating student must submit an Application for Candidacy (AC) to the Office of the Registrar. Further details and deadlines for submitting your AC can be found on the Registrar's website or by contacting them at [email protected]. 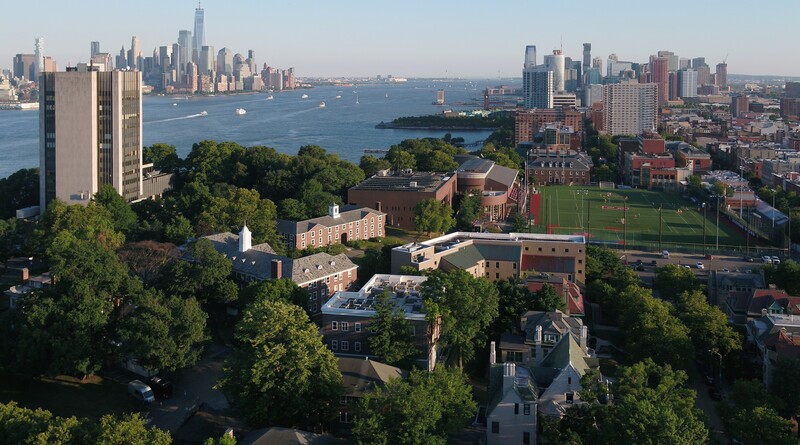 All students who have borrowed a federal student loan (Direct Loan and Perkins) while attending Stevens Institute of Technology must complete Exit Counseling. The purpose of Exit Counseling is to explain your rights and responsibilities as a student loan borrower and it is a federal requirement. Federal Direct Loan Exit Counseling must be completed online at studentloans.gov. If you borrowed a Federal Perkins loan you must also complete exit counseling separately, online with our loan servicer, Heartland ECSI. Federal Perkins Loan borrowers will be contacted by Heartland ECSI with instructions to complete the exit counseling process. For questions concerning your student loans, exit counseling or other financial aid matters, please contact the Office of Financial Aid via phone 201.216.3400 or via email at [email protected]. Grade reports, diplomas, transcripts and degree verifications will be withheld if any balance remains on a student’s account. Students can review their account balance and make electronic check/credit card payments through eBilling: www.stevens.edu/studentebilling. Payments by check are accepted in Student Accounts located in the Student Service Center. For questions concerning your student account information, contact the Office of Student Accounts at 201.216.3500 or [email protected]. GradFest is a campus-wide celebration for the Class of 2019, taking place on Tuesday, May 21, 2019 from 6:00 p.m until 9:00 p.m. All are welcome, admission is free, and tickets are not necessary for this annual event. Come celebrate with our graduating students, with free food, give-aways, photo opportunities and live music, ending with fireworks on the river! The Faculty Awards and Ph.D. Hooding Ceremony will be held on Tuesday, May 21, 2019 at 4:30 p.m. at DeBaun Auditorium, offering special recognition for outstanding faculty and doctoral degree candidates. The ceremony is similar to commencement in that faculty and students are dressed in academic attire. This ceremony, however, is tailored as a special honor for faculty and graduating doctoral students. Commencement Ceremonies will take place at the Meadowlands Expo Center in Secaucus, New Jersey on Wednesday, May 22, 2019. There will be 2 ceremonies – the Undergraduate Ceremony for all bachelor’s degree candidates will be held at 11 a.m., and the Graduate Ceremony for Ph.D. and master’s degree candidates at 4 p.m. Each ceremony should last approximately 2.5 hours. Wearing academic regalia (robes, hoods, caps) to participate in the Commencement Ceremonies and the Ph.D. Hooding Ceremony is required. Orders for your FREE regalia, made out of 100% recycled materials, can be placed through the Oak Hall website. The deadline for ordering regalia to be sent to the Stevens Bookstore has now passed. The "ship to home" option is still available if ordered by May 8th, however delivery fee will apply. In addition, there are other items that can be purchased for an extra cost. Your regalia, though, is always free. Regalia ordered prior the deadline of April 10th must be picked up at Commencement Week Kick-Off on Monday, May 13, 2019 from 10 a.m. until 7 p.m. at the Stevens Bookstore, 1st Floor of the Howe Center. If you cannot attend this day/time, there will be additional pick up dates, and they will be announced shortly, along with the procedure for a representative to pick up your regalia. Each graduating student can order up to six (6) guest tickets to the commencement ceremony. Tickets will be available for online ordering at stevenscommencement.universitytickets.com beginning March 27, 2019. Every guest, no matter the age, MUST have a ticket to enter the venue. Graduating students do NOT need a ticket. Two of the six guest ticket allotment can be used for ADA-Accessible tickets, available for those in need of handicapped or wheelchair accessible seating. Please note that if you would like additional tickets, guest tickets are transferable from student to student. If a graduating student is not using all of their tickets, or not walking in the ceremony, they can foward their guest tickets to someone else. We suggest talking to your classmates for extra tickets. For those who cannot attend, Stevens will live video stream each ceremony. A link to the broadcast will be available on this website on the day of the ceremonies. Graduates should arrive at the Meadowlands Expo Center NO LATER THAN 3:00 p.m. to allow time to lineup by school. Doors open for guests at 3:00 p.m. Once you arrive at the Meadowlands Expo Center, you will be directed to the correct area, whether you are a graduate or a guest. Please do not bring any items that you cannot carry on your person during the ceremony. There is no storage area for graduates’ personal items, and we are not responsible for items left behind or lost during the ceremony. Stevens will offer free bus service from campus for graduating students, as well as university faculty and staff. Please note: parents, family and guests are strongly encouraged to use personal or public transportation to get to the Meadowlands Expo Center. Meadowlands Expo Center has plenty of free parking for graduates and guests. A limited amount of handicapped parking will be available close to the Expo Center for those with the appropriate hang tags. Parking attendants will direct cars to the closest available parking area once you arrive at the Expo Center. Please note: parents, family and guests are strongly encouraged to utilize personal transportation to get to the Meadowlands Expo Center. Since graduates will have received their academic regalia in advance, we suggest having photographs taken prior to arrival. Guests may take photos and video from the guest seating areas at Meadowlands Expo Center, but guests will not be permitted in the graduate seating area, stage or aisles. Stevens has contracted with Island Photography to take several color photos of each graduating student as his/her diploma is being presented. Approximately one month after the ceremony, the studio will email proofs and ordering information to each graduate to their Stevens email address that is on file with the Registrar’s Office. Please make sure your email address is correct, otherwise there will be a delay in getting your proofs. Diploma Distribution is handled by the Office of the Registrar. Further information can be found on the Registrar's Graduation Information website or by contacting them at [email protected]. All information regarding commencement will be communicated via your Stevens email account. We will not send information to any other email address. If you have any further questions, please contact the Office of University Events at 201.216.5111 or [email protected].